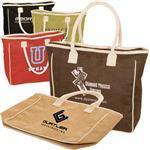 The Rope Tote is a trendy 15 oz. cotton canvas bag. 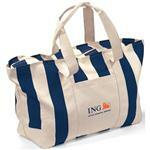 This tote bag is perfect for shopping, the gym, the beach, or just as an every day tote. 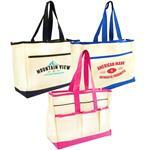 This stylish tote’s large surface area allows you to carry everything you need and provides plenty of area for your custom logo! Typical Imprint Area(s): 10"x 8"